The Alaska vacation season is over for this year. So how about booking for next summer! Snag great rates, and spend your winter planning wild adventures! Alaska offers the vacationers a truly unique vacation experience. First off, the are is not overly developed. You will see vast stretches of untouched land, just as the early settlers may have seen the lower 48 some 2 or 3 centuries ago. Trains take you up to the Yukon, site of the last of the great gold rushes. Bears, eagles, salmon, deer and elk roam this vast woodland, and it’s not impossible to see whales in the local bays outside of Juneau. And then there is the fun shopping for the whole family in each of the frontier towns of Skagway, Juneau, Ketchikan, and Sitka (once an outpost of Russia). A cruise of Alaska is the best way to see the inside passage area as no roads interconnect with Anchorage, the gateway to Denali. Denali offers the visitor vast stretches of open plains with tons of wildlife and not to mention Mount McKinley, the tallest mountain in the USA. So pack your bags and whether it’s a land tour or a cruise, you will make memories in Alaska that last a life time. Alaska is the land of superlatives: largest national park, highest peak, longest coastline, biggest state, longest day and night. The list goes on, and with all of these unparalleled characteristics, you’d be hard pressed to cover even a fraction of this place in a typical one or two-week vacation period. The 49th state offers so many things to do and see, you could vacation here for the rest of your life and never have the same experience twice. Alaska’s adventure, history, culture, fishing, hiking, skiing, wildlife watching and scenery just might be the best in all of North America, but then, you’d expect that, right? More than twice the size of Texas, Alaska is the largest state in the USA: a land of vast natural splendour, abundant wildlife and few people. It offers unique experiences such as walking in unspoilt wilderness, spectacular cruising through the fjords of the Inside Passage, and frontier towns rich in gold rush history. Alaska’s sense of undiscovered wilderness and promise of adventure is still as strong today as it was in the past, and having attracted thousands of pioneers in search of gold, fur, fishing, logging and oil, this ‘Last Frontier’ today lures travellers in search of unspoilt beauty and close encounters with nature. In fact, Alaska’s three largest cities – Fairbanks, Juneau, and Anchorage – are home to fewer than 350,000 people between them. Whenever and wherever you travel in “The Great Land,” clothing is always a primary consideration. Emphasis should be based on comfort because the dress code is informal and casual. A layered technique is extremely good here. Temperatures in Alaska during the summer range from 60°F-80°F. Nighttime and early mornings are cooler, from the 40’s – 50’s. Late August and September departures could encounter cooler temperatures and slightly fewer hours of sunlight, as fall arrives early at these latitudes. The southeast epitomizes classic Alaskan scenery, with its fjords, mountains, forests and glaciers. Alaska is one of the top cruise destinations in the world and the main attraction for visitors to this region is the lack of roads between towns and scenic wonders that make the waters of the Inside Passage a major marine highway ideal for ship travel. The number one attraction in the interior heartland is Denali National Park, an area of untamed magnificence that also encompasses North America’s highest mountain, the snow-covered Mount McKinley. Arctic Alaska in the frozen north is less well-traveled, and few venture as far as Barrow and Nome. Filled with icy fjords that tower over the Pacific Ocean, while snowy peaks stretch toward the horizon, Alaska is boundless. Yet incredibly intimate as you watch eagles nest along the coastal forests. On a cruise you can explore just about everything in Alaska, from the inside passage up into the unlimited wilderness of Denali and all that you can see beyond. Head deeper in the frozen wilderness on a land tour and experience the thrill of a 30 ton while frolicking like a puppy dog in the big bay waters off Juneau. Or how about the CRACK of a birthing glacier that plunges into the water just before you eyes, where you will see just how big mother nature can be. Your kid’s faces will beam with enjoyment just as the midnight sun allows you to enjoy a day that starts at dawn and ends after midnight. This is a vacation like no other and in 2018 there will be new more ships to choose from to enjoy your Alaskan adventure. Because of its location in the far north, Alaska is the land of the ‘midnight sun’, and visitors can experience the odd phenomenon of having over 21 hours of sunlight each day in the summer. Despite a reputation for high prices and inhospitable weather, millions of people have discovered in Alaska a unique piece of the US that is worth every dollar. MY BIGGEST MEMORIES! While we were visiting Ketchican on our Princess Cruise in 2001, we stepped off the cruise ship and we could not help but notice all these pigeon looking birds flying over our head. Only we knew they were not pigeons but in the lower 48, when you see tons of big birds swooping down over your head you automatically think they are pigeons. In fact they were EAGLES, tons of them, swooping over our head and over the cruise ship, in early July, it was an awesome sight. So we asked a local is this always the case, having so many eagles around in summer. The local told us to take a walk up about 2 to 3 blocks from the main dock to see why there are so many eagles. So we had time on our hands and we eventually found ourself in what was considered to be the “red light district” of Ketchican. It has this major creek or stream flowing through it, and there you could see hundreds of salmon swimming up stream on their way to do what salmon usually do in the summer, mate and lay eggs. And low and behold there were all these eagles just swooping in and picking off the salmon, one by one, for their daily lunch. This is their time to feed, and stock up their weight and fat for the long winter that eventually will lay ahead. Not to worry, enough salmon escape the eagle buffet to produce enough off spring that wind their way back out to sea until next year, when the cycle repeats! Tracy Arm Fjord — Just one of the Amazing Glaciers! The Tracy Arm Fjord, just south of Juneau, Alaska, is one of the most pristine glacier sites in the world. It has to be among the most beautiful ice filled sites in the world, right up there with the fjords of Norway. Tracy Arm generally represents the highlight of most cruises to Alaska. It is the preferred site for Princess Cruises, where an entire morning is spent circling the bay so all on board can get an excellent view. Named after Civil War General Tracy, the Tracy Arm Fjord is a spectacle to behold, and should be on everyone’s bucket list! It is by far one of the most dramatic locations in Alaska, or in much of the world. There are huge glacier cliffs, with mist and fog, and the crack of thunder alerts you to the exact point in time when you can witness the calving of the glaciers — or huge icebergs — that drop into the ocean below. The view is simply awe- inspiring. In a world where technology rules, here Mother Nature is in charge. You can easily visit this glacier and many others from the deck of many wonderful cruise ships. Princess, Celebrity, Royal Caribbean and Holland America all have amazing cruises and land tours to Alaska all summer long and at affordable prices. FAST FACTS: English is the most common language spoken but Spanish is often heard in the south-western states. Visitors entering the country under the Visa Waiver Programme (VWP) must have a machine-readable passport (MRP) that has a bar code on the photo page. Travellers under the VWP must have passports that include biometrics if they wish to enter the country without a visa, which means that passports must contain unique personal data such as fingerprints or iris details. All passports must contain a digital photo image in order to travel visa-free. As part of the Western Hemisphere Travel Initiative (WHTI), all travellers travelling between the United States and Canada, Mexico, Bermuda, and the Caribbean region are required to present a passport or other valid travel document to enter or re-enter the United States. If departing from the USA, a valid passport is required by immigration authorities. All visitors who do not need a visa, under the US Visa Waiver Programme, need to register online three days before travel. This allows the US government to screen all visitors before travel. It is highly recommended that passports have at least six months validity remaining after your intended date of departure from your travel destination. Immigration officials often apply different rules to those stated by travel agents and official sources. The official currency is the US Dollar (USD). Electrical current is 120 volts, 60Hz. Alaska offers the vacationer a truly unique vacation experience. First off, the are is not overly developed. You will see vast stretches of untouched land, just as the early settlers may have seen the lower 48 some 2 or 3 centuries ago. Trains take you up to the Yukon, site of the last of the great gold rushes. Bears, eagles, salmon, deer and elk roam this vast woodland, and its not impossible to see whales in the local bays outside of Juneau. And then there is the fun shopping for the whole family in each of the frontier towns of Skagway, Juneau, Ketchican, and Sitka (once an outpost of Russia). 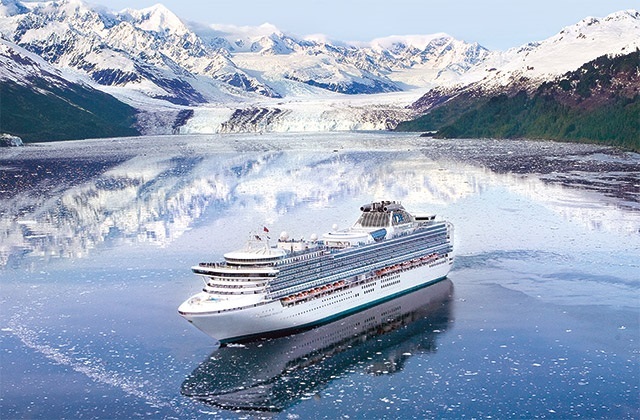 A cruise of Alaska is the best way to see the inside passage area as no roads interconnect with Anchorage, the gateway to Denali. Denali offers the visitor vast stretches of open plains with tons of wildlife and not to mention Mount McKinley, the tallest mountain in the USA. So pack your bags and whether its a land tour or a cruise, you will make memories in Alaska that last a life time.